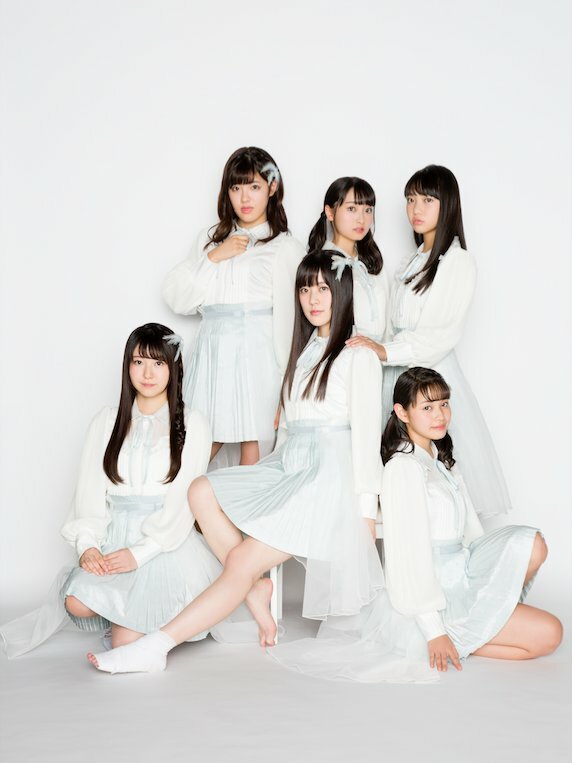 Discussion in 'The STAGE48 Idol Emporium' started by htmfan, Nov 6, 2017. 48 group and 46 series producer Akimoto Yasushi will produce new idol group for TV Asahi's idol competition show "Last Idol", the concept of the show aims to build a best idol group. Concept: No matter professional idol or amateur can apply Last Idol within 14 to 26 years old, the show will select 7 winners , and form a group, and release their own CD, and participate general idol activities. If anyone can stays until the end (debut), she can have the concurrency with her own group. The contestants need to compete with each other, each episode will have a challenger who competes one of current winners, and her performance will determines if she can replace that winner. In each episode, randomly one of the four judges will be chosen to be the one who determine the winner and loser of that round. Even if other judges chose differently from the chosen judges, only the chosen judges' decision counted as the final results. There will be 7 chairs available, No1 to No7, with No1 is the center chair. This formation was announced on the first episode of the series aired on August 13th 2017. Won on Episode 3, against Aizawa Ruka. It has been announced through the show on 24/09/2017 that the official group name will also be the show name "Last Idol", they will release their debut single under Virgin Music (of Universal Music Japan) on 20th December 2017. Their debut single is "バンドワゴン -Bandwagon".It will be released with 4 types A,B,C,D (each has Bandwagon, a common B-side song, and type-exclusive B-side songs). Furthermore, The show announced that 2nd unit will formed from the lost challengers and temporary members. GOOD TEARS original song was also be performed in the same episode "涙の仮面" -"Namida no Kamen". On the 13th Episode, aired on 05/11/2017, the second 2nd unit was announced. シュークリームロケッツ - Choux Cream Rocket is their name. This unit has only three members. Their original song is "想像上のフルーツ" "Souzoujou no Fruit". On the 16th episode, aired on 25/112017, it was revealed that 蒲原 令奈 - Rena the current number 5 would withdraw from the group due to her dream of becoming a singer (not idol). Therefore, a return match was held between the Ex-No5 Nagatsuki Midori and a lost challenger - Kiyohara Rio - for the #5 spot of Last Idol. Winner was Midori. She officially returned to be Last Idol temporary member #5 as well as concurrence as Choux Cream Rocket. On the 17th Episode, aired on 02/11/2017, the third 2nd unit was announced. Someday Somewhere is their name. This unit has six members. Their original song is "Again & Again". for yesterday (11/11/2017)episode, the 16th and 17th battle were taken out. The first battle of the night was between our current No3. Ooishi Natsumi vs the 15th year old Omori Rio. And the 2nd battle was between our current No2. Yoshizaki Aya against Momiyama Himeri. Both battle's winners were our current temporary members. The challengers lost. Since the beginning of the program, until now, there are many of episodes have been removed online... But ì you want to search for some near episode you can use this keyword "ラストアイドル" though. I also have the same thinking when will Wakana be back to the show!!!! It looks like new unit will be 6 (or 5?) members! Also, since when this is a thing? According to this news , https://headlines.yahoo.co.jp/hl?a=20171128-00000065-dal-ent , there will be a total of 5 units coming from the show, with the main is Last Idol, and 4 other second units.. bringing the total of "Last Idol Family" members up to 25 members. Until last week episode, we already had 3 units announced: Last Idol, Good Tears and Choux Cream Rocket. And the 4th units is coming this week (with Wakanaaaa ). Maybe the 5th unit will be premiered next week.. The third second was relieved tonight - named Someday Somewhere, their original song is "Again & Again". Due to Wakana's accident, making she impossible to dance, they had to change the dance move to fit her situation (theme of the dance moves wwere supporting Wakana). The song was goood!!! The unit members are: Majima Wakana (center), Inoko Reia, Momiyama Himeri, Yamada Mahiro, Kiyohara Rio, Kimura Misaki. until the debut, we only have the last three battles. Tonight battle was between the current #6: Suzuki Haruka vs 14 year-old Nakamura Shuri. And Haruka won. The common B-side for all types was also announced, sung by all Last Idol Family members "ラスアイ、よろしく” - Last Ai, Yoroshiku. They also tease that the last second unit will consist of 5 members. The song is really so good! Kiyohara Rio is also in this unit!!! At the moment, Majima Wakana is trying hard to make her camera work for Showroom! That mv is pretty damn good. Full MV for "Bandwagon" was OUT!